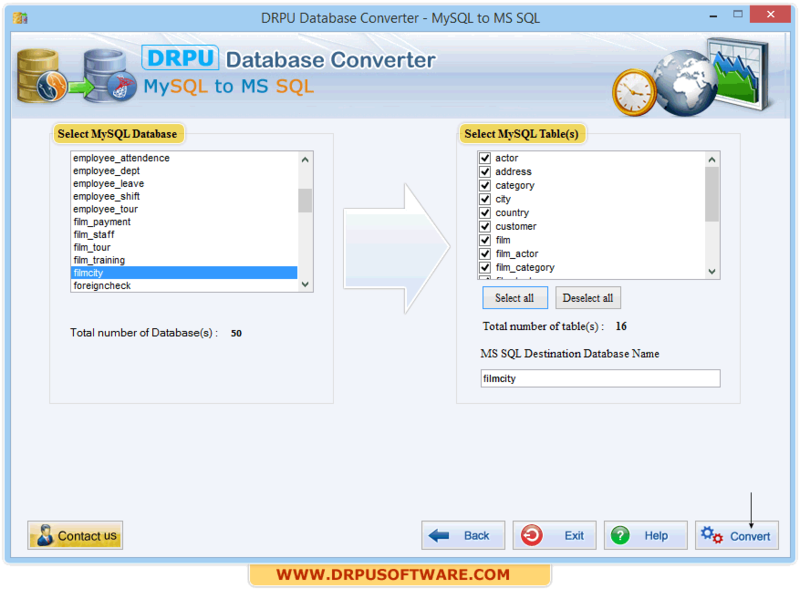 Select convert table definitions, if you want to convert only table structure. If you do not want to convert indexes, then you can select "skip converting indexes". 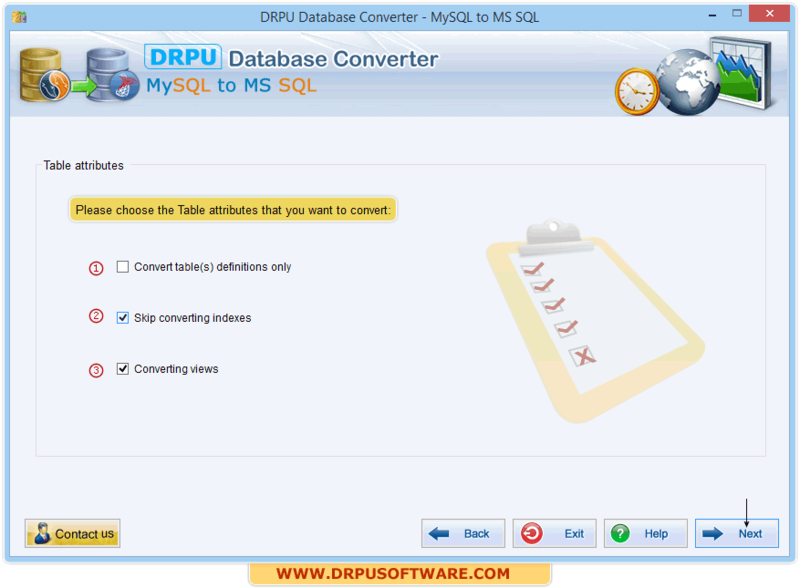 Here, Left panel shows MySQL database list with option to select the required MySQL database to convert in to MS SQL. 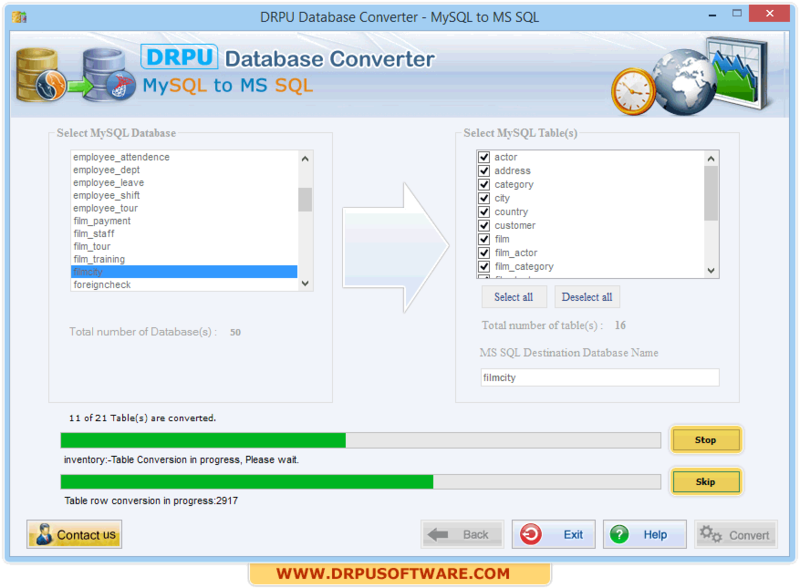 Right Panel shows the list of the selected MySQL Table(s). Select 'Views' from list which you want to convert. 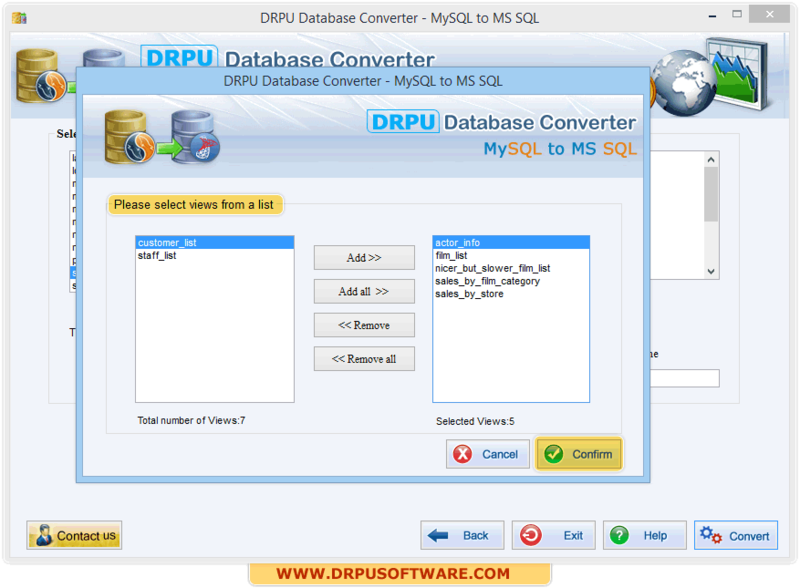 After selecting views from the database, Click the ‘Confirm’ button. 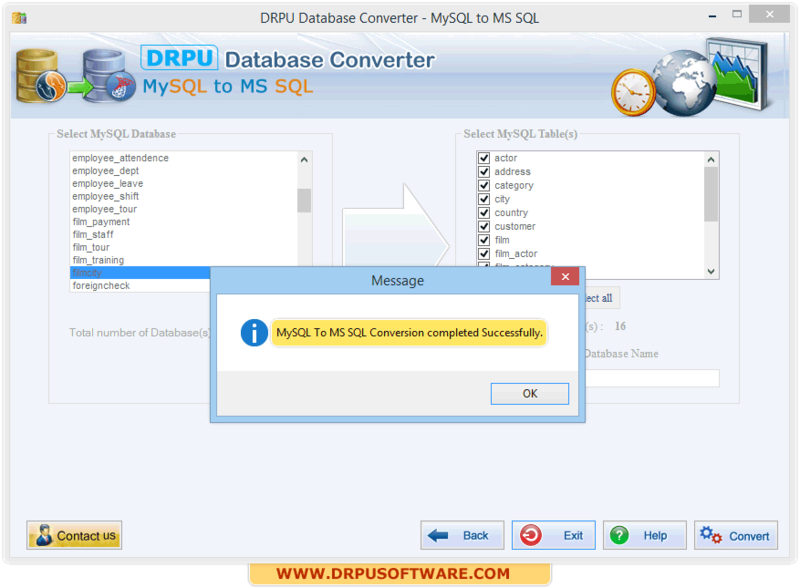 After completing conversion process, above window as shown in screenshot "MySQL to MS SQL Conversion completed successfully" will be displayed.